I love finding things and giving them a new life & purpose. That’s just what happened when I found these engineering bricks on the side of the road. 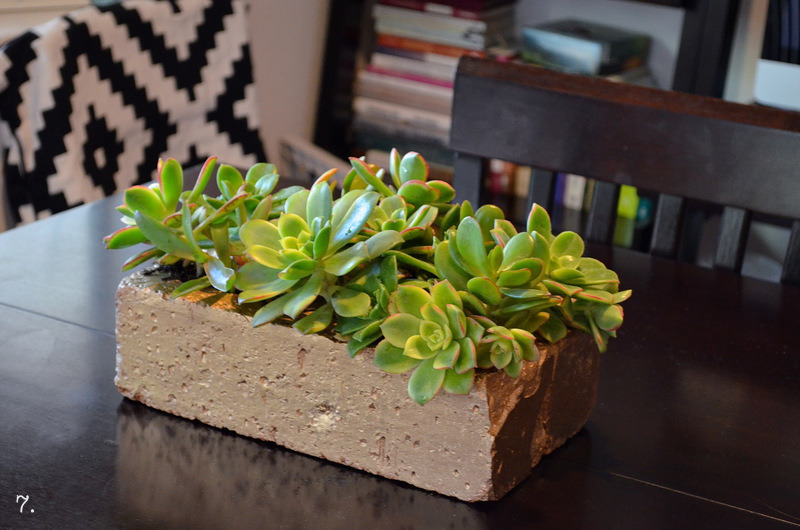 I recalled a DIY project I saw in Grace Bonney’s Design Sponge at Home about building a succulent brick wall or planter. 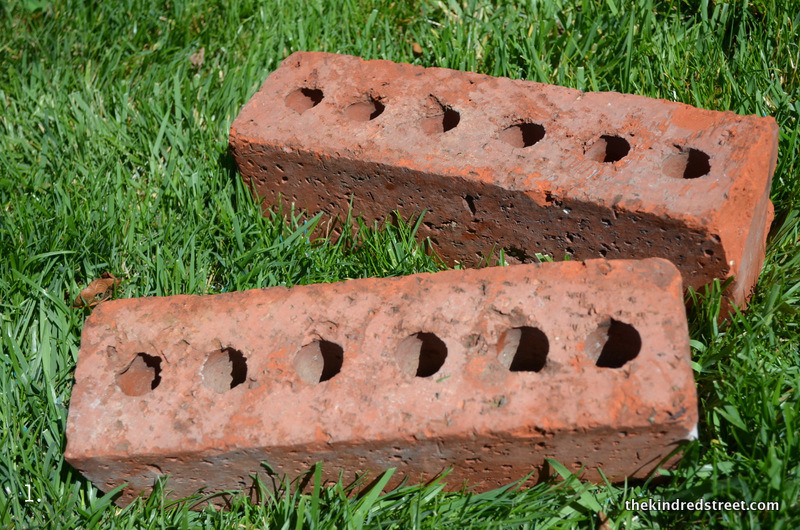 I took this idea and ran with it…literally I was on a run when I found these bricks. I took the bricks home and sprayed the cobwebs and 1-2 snails out of the holes with a hose, let them dry for about 30 minutes and add my own flare of spraying the bricks gold. 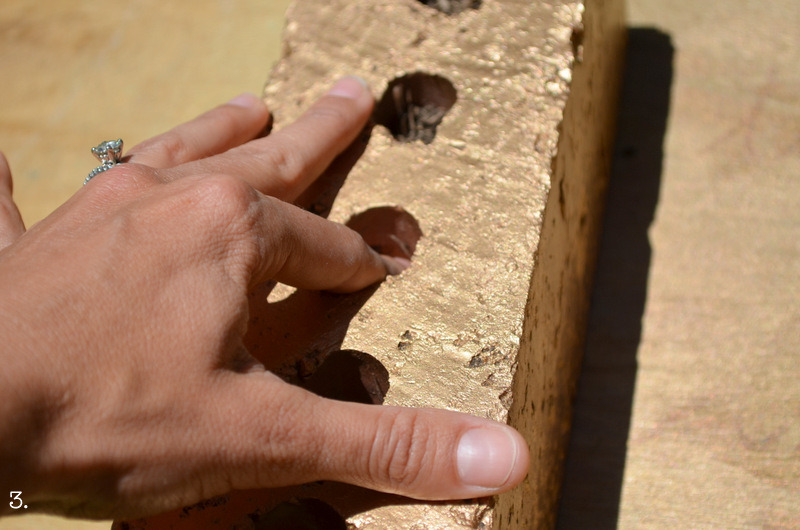 There is something magical about a gold brick, it looks like real gold and reminds me of Willy Wonka for some reason. After spray painting the bricks and letting them dry for 30-45 minutes I filled the holes in the bricks half way with potting soil and planted 1-2 individual succulents in each hole. 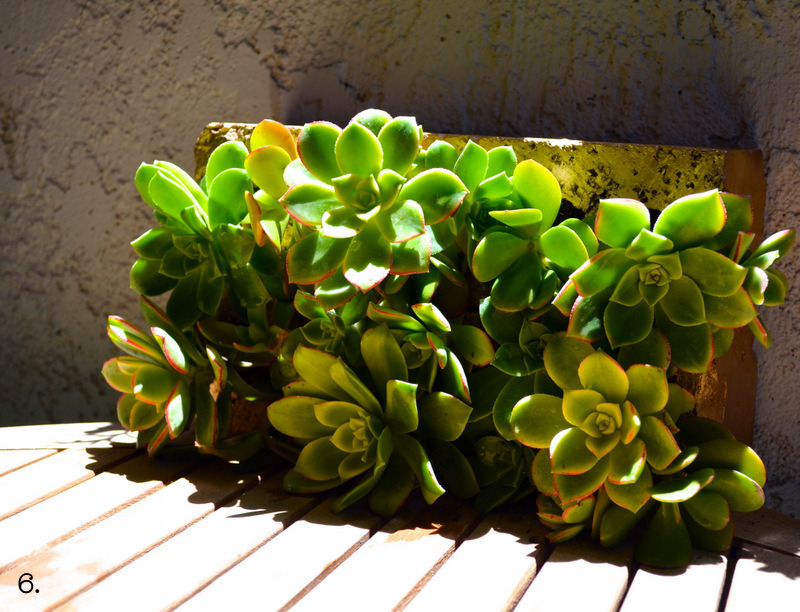 One of the most beautiful things of a succulent is it’s forgiving nature; you can literally pick a succulent from a larger one and replant it and it will sprout roots and grow. Also you only need to water once a week and just moisten the soil. The finished product is an arrangement that has many possibilities; I immediately saw it as a centerpiece at a wedding or thought of adding to it to build an even larger wall. This is the perfect project for the minimal gardener, to style up your yard, coffee table, dinner table or your next event. 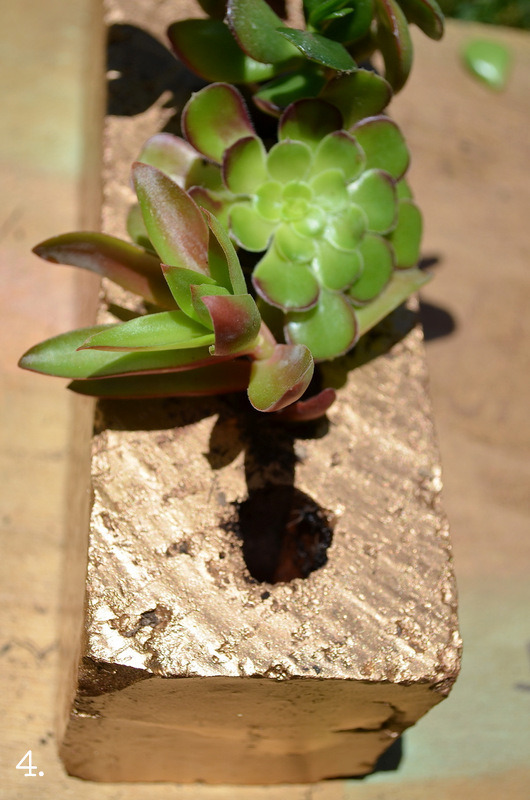 Here is a step by step guide to building a succulent wall/planter. Start with an engineering brick, they can have anywhere from 3-16 holes. 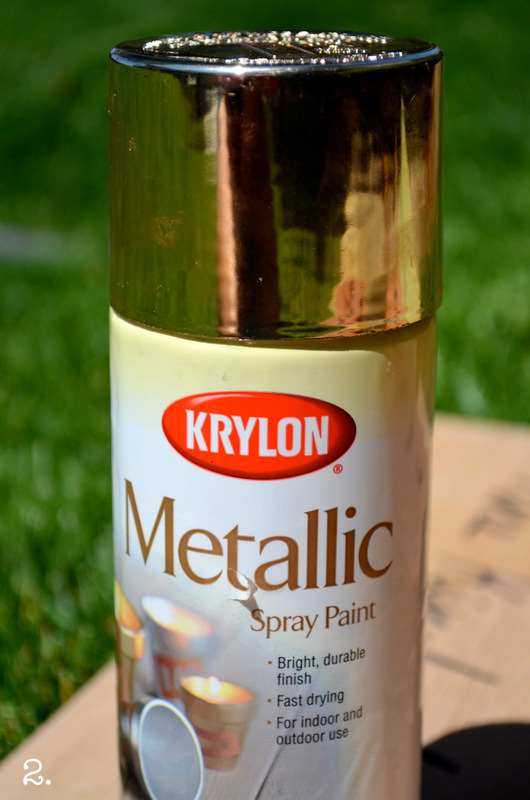 You can use any spray paint that you like and spray the bricks in a well ventilated area. Fill the brick’s holes halfway with potting soil and pack down with your finger. Plant the succulents in the holes of the brick in what ever order you like and add additional dirt to fill in around the succulent. 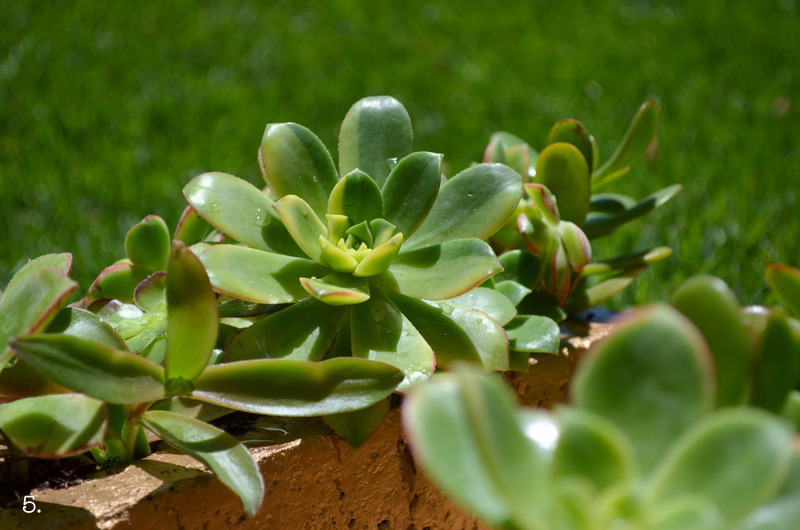 Water succulents just enough to pack down the soil around the plant so that you don’t have as much loose soil to fall out the other end. For the most part, the soil stays put but some dirt will fall out when transporting it to your desired decorative location. 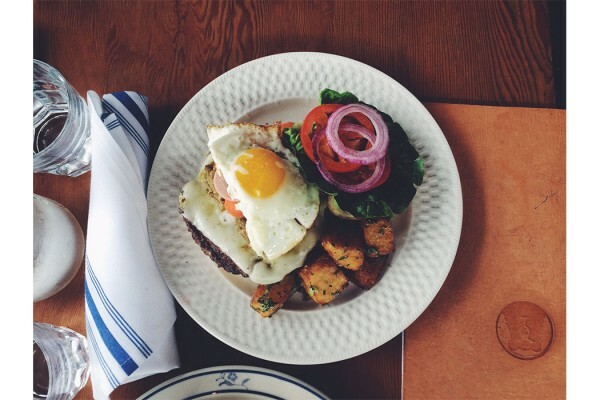 I recommend using a wood board or tray such as the one in a couple of these photos when moving the bricks. You can stack the bricks on top of one another for a mini wall look and then continue to build upon it . . .
Or style this up indoors as a table arrangement or centerpiece, just be sure to set the bricks down on a cloth before so you don’t get dirt residue on your furniture or table.